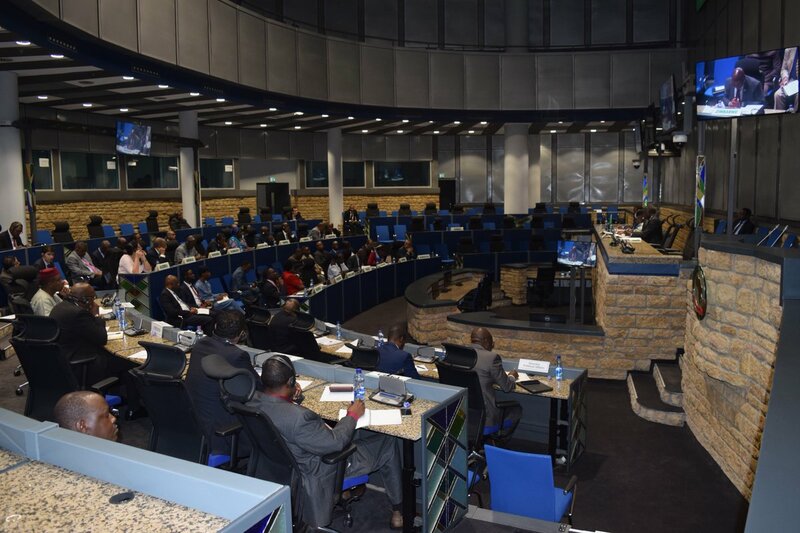 The Peace and Security Council (PSC) of the African Union (AU), at its 432nd meeting, held an open session, on 29 April 2014, devoted to the theme: “Unconstitutional changes of Governments and popular uprisings in Africa – challenges and lessons learnt”. 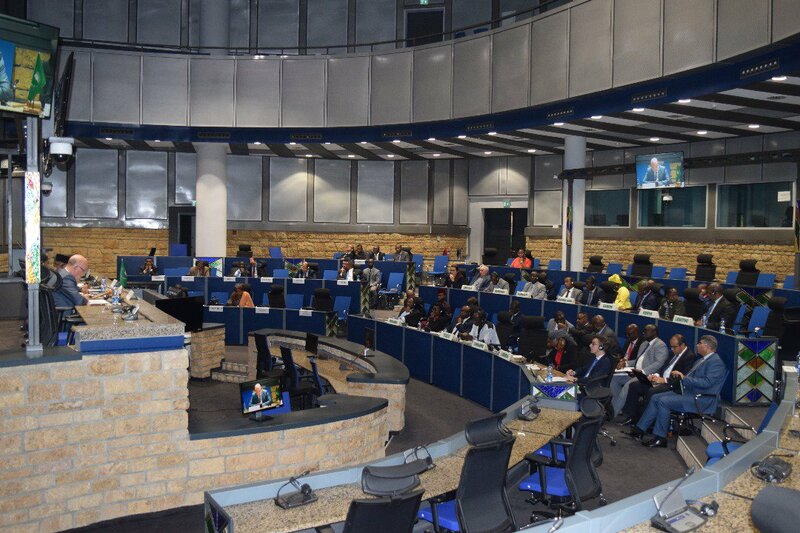 Council welcomed the active participation in the debate of many AU Member States, bilateral and multilateral partners, as well as representatives of civil society organizations, and acknowledged their contributions to the overall efforts of deepening democracy and the rule of law in Africa. Participants and Council recalled the various instruments adopted by the Organization of African Unity (OAU)/AU to address systematically and consistently the problem of unconstitutional changes of government. In this respect, they recalled in particular Decisions AHG/Dec.141(XXXV) and AHG/Dec.142 (XXXV), adopted by the 35th Ordinary Session of the OAU Assembly of Heads of State and Government, held in Algiers, Algeria, from 12 to 14 July 1999; the Declaration on the Framework for an OAU Response to Unconstitutional Changes of Government, adopted by the 36th Ordinary Session of the OAU Assembly of Heads of State and Government, held in Lomé, Togo, from 10 to 12 July 2000 (the Lomé Declaration); the relevant provisions of the July 2000 AU Constitutive Act and the July 2002 Protocol Relating to the Establishment of the Peace and Security Council of the African Union; as well as the Conclusions of the Peace and Security Council Retreat held in Ezulwini, Swaziland, from 17 to 19 December 2009. Participants and Council further recalled the other instruments adopted by the OAU/AU aimed at deepening and consolidating democracy, as well as respect for human rights on the continent, including the July 2000 Solemn Declaration of the Conference on Security, Stability, Cooperation and Development (CSSDCA) and its July 2002 Memorandum of Understanding (MoU); the various instruments adopted within the framework of the New Economic Partnership for Africa’s Development (NEPAD), including the African Peer Review Mechanism (APRM); the African Charter on Human and Peoples’ Rights and its various Protocols; and the African Charter on Democracy, Elections and Governance, as well as the OAU Declaration on the Principles Governing Democratic Elections in Africa. They emphasized that these instruments provide a framework of norms and principles, whose strict observance would significantly reduce the risk of unconstitutional changes of governments and popular uprisings on the continent. Participants and Council noted that unconstitutional changes of government and popular uprisings were deeply rooted in governance deficiencies. They stressed that in situations of greed, selfishness, mismanagement of diversity, mismanagement of opportunity, marginalization, abuse of human rights, refusal to accept electoral defeat, manipulation of constitution, as well as unconstitutional review of constitution to serve narrow interest and corruption, among other factors, are potent triggers for unconstitutional changes of government and popular uprisings. In this context, they stressed the need for AU Member States to deepen the culture of democracy, accountability, inclusiveness, participation, reconciliation and good governance to foster peace and stability on the continent. In circumstances where governments fail to fulfill their responsibilities, are oppressive and systematically abuse human rights or commit other grave acts and citizens are denied lawful options, Participants and Council expressed understanding, and recalled the 50th Anniversary Solemn Declaration, of 25 May 2013 adopted by the Assembly of the Union, in which the Assembly re-affirmed its rejection of unconstitutional changes of government, including through any attempts to seize power by force but recognized the right of the people to peacefully express their will against oppressive systems. In order to strengthen the efforts towards silencing of the guns aimed at achieving the pledge not to bequeath the burden of conflicts to the next generation of Africa and to end all wars in the continent by 2020, Participants and Council stressed the importance of putting in place adequate social, political and economic policies, that are responsive to the needs of the people, as well as clear mechanisms and arrangements of recourse in extreme circumstances of uprisings, and for the AU to have clear points of entry to assist a concerned member state and its citizens. Participants and Council noted the sustained efforts deployed by the AU, in collaboration with the Regional Mechanisms for Conflict Prevention, Management and Resolution, towards restoring constitutional order in countries where unconstitutional changes of government have taken place. They underlined the relevance of the measures taken in response to these phenomena, notably the suspension of the concerned countries from participation in the activities of the AU; the imposition of sanctions as necessary; sustained interaction with all concerned with a view to finding a consensual solution consistent with the relevant AU instruments; and mobilization of international support to African-led efforts, through the establishment of International Contact Groups and other similar structures. Participants and Council, acknowledged that in spite of the efforts deployed, the continent continues to face the challenge of unconstitutional changes of government. They noted that the popular uprisings which took place in North Africa, in 2010-2011, represented the expression of the free will of the people of the concerned countries. They however noted the weaknesses and gaps in the existing AU normative framework which impacted the response of the Union to the uprisings. In this regard, they acknowledged that there was a lacuna on how to treat the uprisings in the context of existing AU instruments on unconstitutional changes of government. They therefore underlined that the flexibility and inconsistency in the interpretation and application of the relevant instruments created a credibility problem for the AU. Participants and Council therefore stressed that in order to ensure a predictable, consistent and coherent response to any future unconstitutional changes of government or popular uprisings, it was necessary for AU Member States to deploy all preventive tools to address conflicts. To this end, they called for an effective and enhanced response to unconstitutional changes of government in accordance with relevant AU instruments and also re-affirmed the necessity of a zero tolerance to policies and actions that have the potential to lead to unconstitutional means of overthrowing oppressive systems. e) underscored the need to enhance efforts at preventive diplomacy, bearing in mind communiqué PSC/PR/COMM. (CCCLX) adopted by the 360th meeting of Council held on 22 March 2013. Council welcomed the recommendations that all relevant AU instruments and provisions on unconstitutional changes of government spread in various instruments be consolidated into a single document. Council agreed, in light of the recurrence of unconstitutional changes of Government and the difficulties encountered at times in implementing AU’s instruments, to establish a sub-committee to undertake an in-depth review of the existing normative frameworks, with a view to developing a consolidated AU framework on how to respond to situations of unconstitutional changes of government and popular uprisings. Such framework should include recommendations on how best to enhance AU’s efforts. Furthermore, it should include the appropriate refinement of the definition of unconstitutional changes of government, in light of the evolving challenges facing the continent, notably those related to popular uprisings against oppressive systems, taking into account all relevant parameters. To this end, Council requested the Commission to prepare the elements of the framework and to submit to it for consideration. Convinced of the importance to all Member States of the debate on “Unconstitutional changes of government and popular uprisings in Africa – challenges and lessons learnt”, Council recommended the convening of a Special Summit of the AU Assembly, for high level guidance drawing from the outcome and the detailed report of the PSC Open Session.